Century Stone has performed stone restoration in thousands of homes and we are currently maintaining numerous hotels and office buildings. We have been restoring natural stone for fifteen plus years and we are the largest and most experienced stone care company in the state. Are your floors looking dull or maybe you can see etching that should be repaired? We can help. Our professionals can polish your stone using the appropriate diamonds or polishing powders to restore the finish you desire whether it's a honed or polished finish. If you are looking for a professional company with highly experienced service providers, you are in the right place. We will take on any job big or small, we are here to help. We provide professional services for hotels, commercial, residential, historical & industrial buildings. Grinding: This process will remove any uneven edges (lippage) from your floor usually from a poor installation. Once a floor is ground it will be flat and free of any lippage. Diamond Honing: This is the process of resurfacing your stone which will eliminate all scratches and acidic etching from spills. This process will leave your stone with a uniform, satin smooth, slip resistant finish. Diamond Polishing: This process is done with only the finest diamond abrasives and polishing powders available. Polishing your stone will deliver deep clarity and a high shine to your stone's surface. We will NEVER use any crystallization chemicals or waxes to polish your stone!!!! Cleaning: We will clean your Natural Stone with the finest cleaners rated safe for Natural Stone. 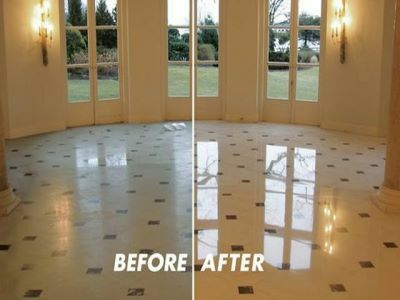 This will remove dirt and contaminants from your Stone and Tile. Sealing: We will seal your Natural Stone to help safeguard your investment for years to come. Repairs: We can fix cracks, chips, broken tiles. Stain Removal: We can remove stains using expert techniques. Etching: We can remove etching -- those dull whitish areas -- on your Marble or Travertine caused by acidic spills or improper cleaning chemicals. Filling Holes: We can fix the holes and voids in your travertine with the color matching epoxy and traverfill. If your stone tile is beyond repair (rare) and tile replacement, or, installation is needed, CENTURY STONE craftsmen can remove your affected tile without damaging a neighboring tile and re-install the new tile to be level and finish required. Whatever your service need, Century Stone is the one to choose. We offer polishing, repair and stone restoration services for the New York tri-state and surrounding areas. We Can Restore that Quality, Elegant Appearance you loved. Natural stone — marble, granite, travertine, limestone, onyx, terrazzo — each has unique properties that must be well understood to effectively restore and maintain it and resolve any problems that you may have. CENTURY STONE has long been a recognized authority and leader in natural stone care and maintenance. We have restored and maintained countless floors, countertops, walls, foyers, showers. CENTURY STONE specializes in cleaning and restoring marble counter tops, marble floor polishing and restoration, granite counter top polishing and sealing and grout cleaning services that will restore your natural stone surfaces to the like-new quality appearance you desire. CENTURY STONE will make it look beautiful again. CENTURY STONE will get your home or building’s stone appearance back in shape with a quality granite or marble appearance and proven plan to keep it there. Whether seeking marble floor restoration or granite floor restoration, shower restoration or vanity, bar, countertop, or registration desk restoration CENTURY STONE gets your stone back to its original appearance. Request your FREE On-Site Consultation and you will have taken the first step towards restoring a beautiful quality appearance to your stone.